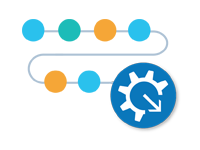 Applications and macros allow you to repackage workflows to automate tasks and create powerful new tools. Learn how they can enhance the Alteryx experience. These lessons look at the Alteryx interface tools. You will learn how to design and execute dynamic apps, and create Batch Macros and Iterative Macros. Finally, you will learn how to connect Analytical Applications in series.